This is a short but intense cardio bootcamp workout... are you ready?! This is a high intensity fat burning circuit.. are you ready?! Ding, ding, ding!! This is a boxing conditioning circuit... are you ready?!? 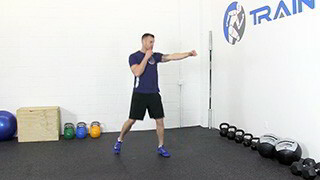 This is a full body metabolic conditioning workout that incorporates the kettlebell swing to jack your heart rate up, get you sweating and burn those unwanted pounds around the waist! 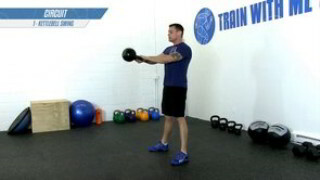 This is a challenging 3 exercise kettlebell complex that is designed to increase strength and improve overall conditioning. 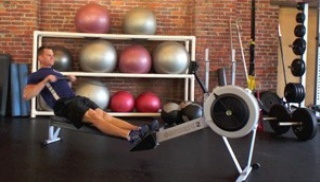 This workout is designed to improve overall conditioning and promote fat loss. This is a beginner level circuit workout that is designed to get the heart pumping! This workout is suitable for all fitness levels and will help you shed pounds and get fit! This is a fun full body workout that targets all of the major muscle groups in two different circuits using only your own body weight as resistance. This workout routine is suitable for all fitness levels.